Home/News/PVC ceiling profile machine exported to Algeria from Ableplas Machinery!! ecently One new pvc ceiling machine has been exported to Algeria from Zhangjiagang Abelplas Machinery Co., Ltd, a professional and golden manufacturer of plastic machinery in China. We always focus on improving our technology to meet our customer’s requirement. Inexpensive price with high quality machinery for you. 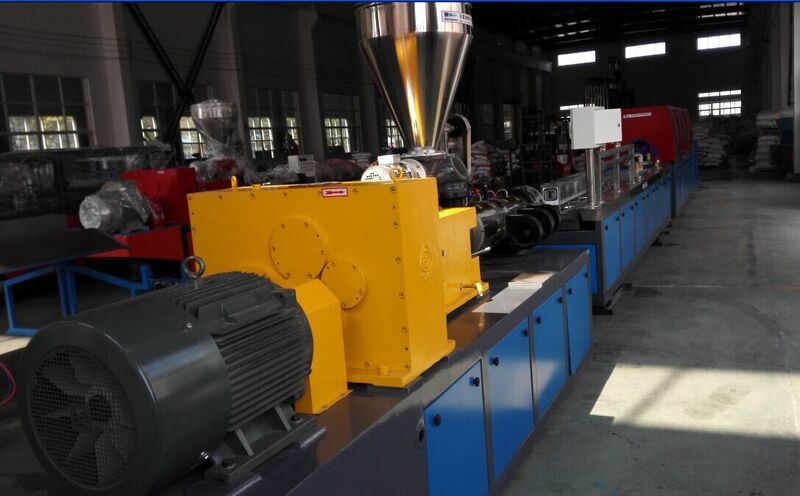 Zhangjiagang Abelplas Machinery co., Ltd has specialized in plastic machinery manufacturing for a decade. Our products mainly cover plastic pipes making machine (PVC,PE,HDPE,PP,PPR etc), plastic profiles extrusion line (PVC,WPC) such as pvc cable ducts, pvc ceiling panels, pvc window profile etc, plastic granules production line (PVC,WPC,PP,PE) and some auxiliary machines like mixers, crushers, shredders, pvc/pp/pe pulverizing machines, raw material loading machines, vibrators. Now our company has exported machines to many regions of the world, Mid-east, South-east Asia, Africa, South America, Europe etc. Welcome to visit their company website: www.abelplas.com. If you have any interest, please do not hesitate to contact us. Hope to cooperate with you.